Special tread formula featuring silica helps the tire remain soft in low temperatures, which ensures stable driving and braking. Gradually widening lateral groves improve self-cleaning and draining. Zigzagged longitudinal sipes enhance cleaning and traction. Reinforced center rib assures handling and high speed performance. 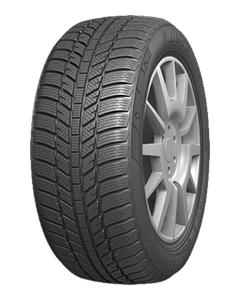 High silica content improves rolling resistance and in turn, vehicle emissions and fuel consumption.